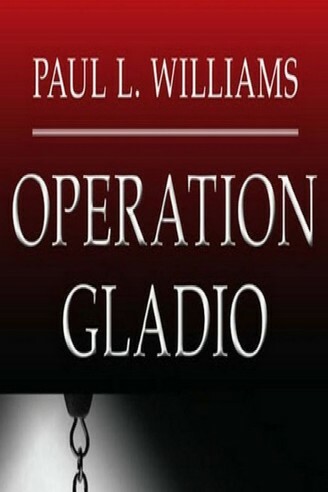 Established by Pope Pius XII and Bernardino Nogara in 1942, the Bank would quickly come to serve as the principal repository post-war both for the Sicilian Mafia and for the OSS/CIA wherein all of the monies and documents relating to drug trafficking and to Gladio would be stored and laundered. 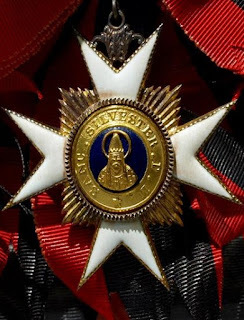 Already in 1945 the pope had held private audiences with Donovan to discuss the implementation of Gladio and where, as Williams reports, Donovan was knighted as an anti-Communist crusader with the Grand Cross of the Order of Sylvester. Prior to this time Pius XII had proven himself a loyal ally in working with Dulles and the OSS to establish the ratlines used to help prominent Nazis escape Europe. It was through his Chicago contacts that Sindona first met Monsignor Paul Marcinkus, (left) popularly known as ‘the Gorilla’. The Gorilla was six foot four, “a gifted street fighter…and a lover of bourbon, fine cigars and young women”. 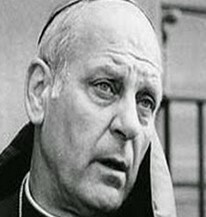 Under Sindona’s patronage Marcinkus would soon rise to become both Pope Paul VI’s personal body guard and the head of the IOR. A third musketeer in the person of Roberto Calvi (the assistant – and later full – director of the famous, Milan-based Banco Ambrosiano) came to complete the three Vatican amigos. Together they would cut a dramatic, collective figure in the global banking underworld all through the ‘anni di Piombo’ (the Gladio ‘years of lead’ in Italy from 1969 to 1987). Exactly how dramatic is illustrated, par excellence, by Calvi’s eventual dark demise. Who among us, old enough to remember, can forget the macabre spectacle (June, 1982) of Calvi’s body hanging from Blackfriars Bridge, his feet dangling in the Thames and pockets stuffed with five masonry bricks. Sindona would also later be murdered (1986) by means of a cyanide-laced cup of coffee whilst in jail and under ‘maximum protective custody’. 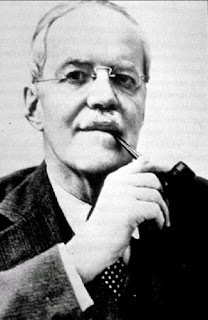 Created in 1877 as a Freemasonry lodge for the Piedmont nobility, it was banned by Mussolini in 1924 only to be resurrected post-war with the approval of Allen Dulles, (right) himself a thirty-third degree Mason. The lodge, though at first dominated mainly by spooks, spies, military and mafia figures, would soon encompass a who’s who of Italian political, corporate, banking and media supremos to boot. Indeed, the organization would eventually spread shoots throughout Europe as well as North and South America, and its members would come to include such luminaries as Henry Kissinger and General Alexander Haig.